10 Best Production has announced the winners of its Best Training Video Production Firm awards for this month. Companies from across the country were recognized, including the top firm in Charlotte, North Carolina. 10 Best Production recently announced its Best Training Video Production Firm awards for May 2016. The award winners are The Video Genius, Robin Bond Media and Stonehaven, and they exemplify some of the industry’s best companies. 10 Best Production is an Internet organization that evaluates and acknowledges some of the leading training video production agency options available to businesses. Many businesses visit the 10 Best Production website to learn about the best video production companies around. 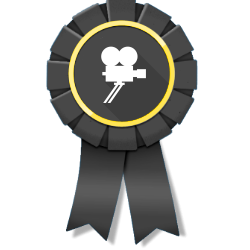 For May of 2016, 10 Best Production gave The Video Genius its best training video production firm award. Several other prominent video production firms were also mentioned by the organization. The Video Genius is a top training video flrm in Charlotte, North Carolina. The staff members at The Video Genius excel in many diverse web and video specialties. They regularly assist clients with editing, filming, producing and consulting work. They also regularly help clients with the writing of detailed scripts. Clients that need in-depth identity branding, website development, web analytics, email marketing and social media marketing help also frequently work with the specialists at The Video Genius. Robin Bond Media of Littleton, Colorado directly follows The Video Genius on 10 Best Production's May 2016 assessment. As a top training video production agency, Robin Bond Media and its employees concentrate on communicating stories effectively and efficiently. Robin Bond Media has offered its detailed services to clients large, small and somewhere in the middle of the two. The staff members who work for this full-service company have a lot of promotional savvy. They know how to put together great and memorable videos for their clients as well. Stonehaven is one of the leading training video production agencies in Montreal in Canada's Quebec province. This reputable company has been in existence for more than 30 years so far. The award-winning video production company is known for its personalized service. Stonehaven's staff members assist clients with television and movie video production matters, for example. 10 Best Production's May 2016 evaluation also discussed a variety of other leading video production companies. These companies are Multimedia Makers in Perth, Australia; Miller Farm Media in Orange County, California; MediaFuel in Fishers, Indiana; Simba Productions in New York, New York; Frozen Fire Films in Dallas, Texas; Ark Media in West Midlands in the United Kingdom; and StagePost in Nashville, Tennessee. The organization also offered recognition to the well-known production company Simple Story Media. Simple Story Media is in Ontario in Canada. For more information about this month’s award winners, please visit http://www.10bestproduction.com.